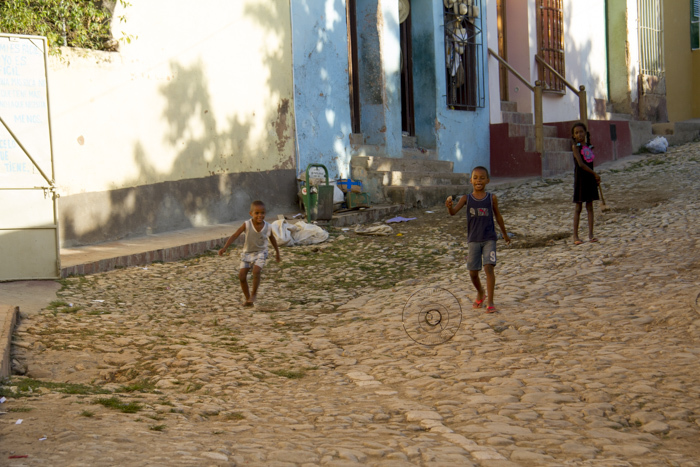 This is a post on how I saw Cuba in 10 days. 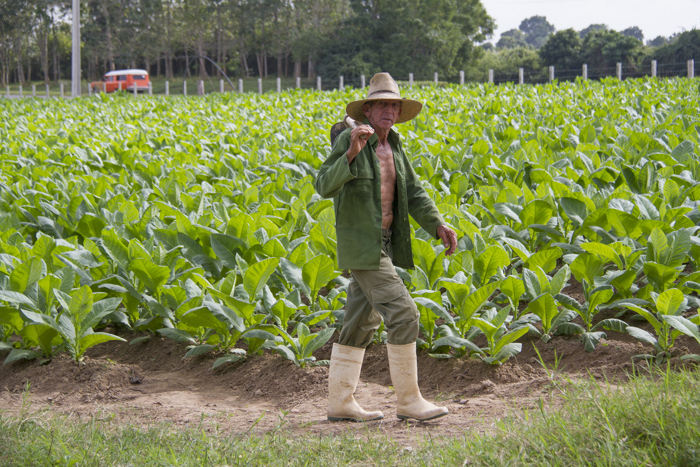 Including Havana, Vinales and Trinidad. When I was 13 I saw a travel documentary on Travel Channel about Cuba. I was fascinated and I knew that I had to visit Cuba one day. December 2016 my boyfriend and I got the opportunity to travel to Cuba for 10 days. You might think that is not enough. 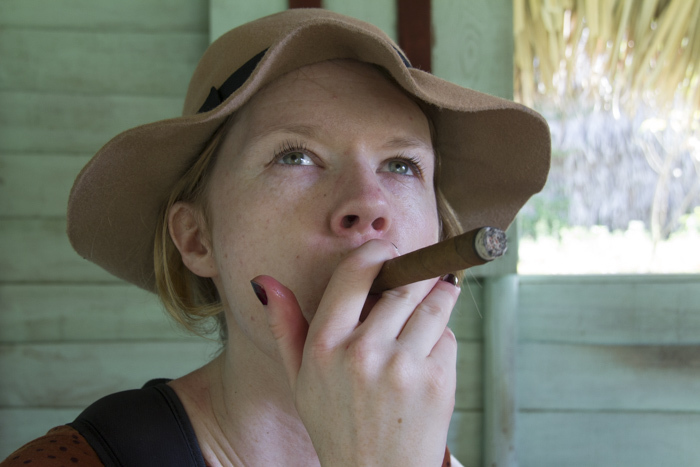 However, I think it is a good amount when you visit Cuba for the first time. Why? 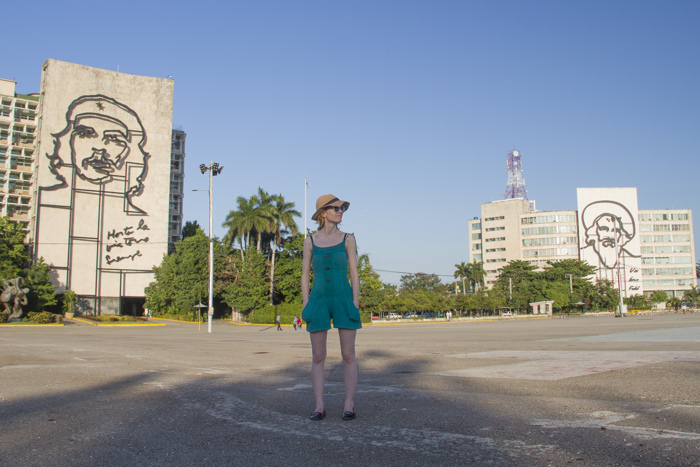 Because travelling to Cuba by yourself can be challenging. It is so much you need to plan before you go. 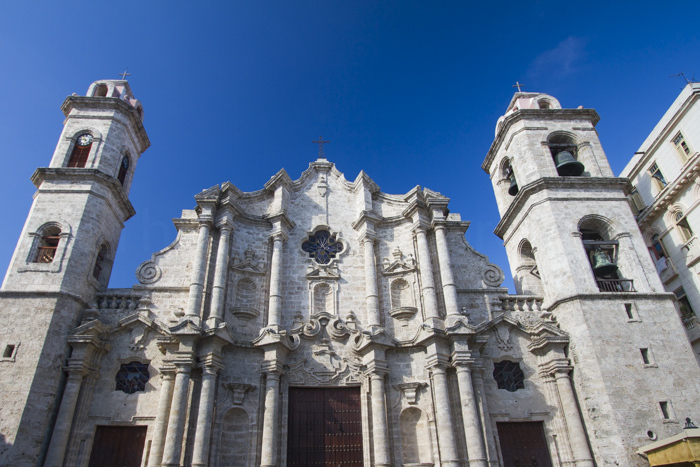 We left Quito, Ecuador really early in the morning to get something out of the day in Havana. When we arrived we thought everything would go smooth, as the passport control line was not that long. Then we got stopped by an airport worker asking us to join her away from the line. The lady asked questions like why we are travelling to Cuba, why we travel together, what we do in Ecuador and how we know each other. The lady also asked about my blog and wanted the URL. It was all very strange questions, but I am not so surprised that we got asked because you can tell that my boyfriend and I are from completely different parts of the world and apparently that could be seen as suspicious. We went through the control and outside we needed to scan our hand luggage. I have travelled through many airports and I have never needed to scan my carry-on after the passport control. That line was insanely long and really unfair because the ones that went through the middle of the passport control they got in first. No sense there. After one and a half hour we finally got out and got a taxi to our AirBnB in Vedado. We met people saying that it took 3 hours to get out of the airport, so be prepared. 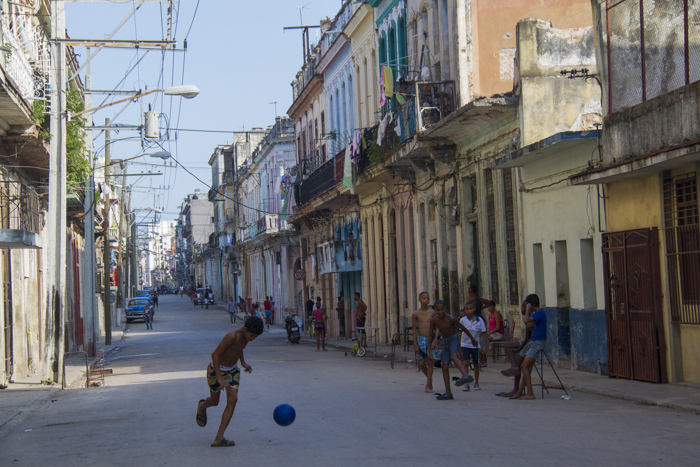 Our second day in Havana was going to be everything all Old Havana. I was so happy we got theLonely Planet Cuba book because it had a suggested walking route of Old Havana plus a detailed map. 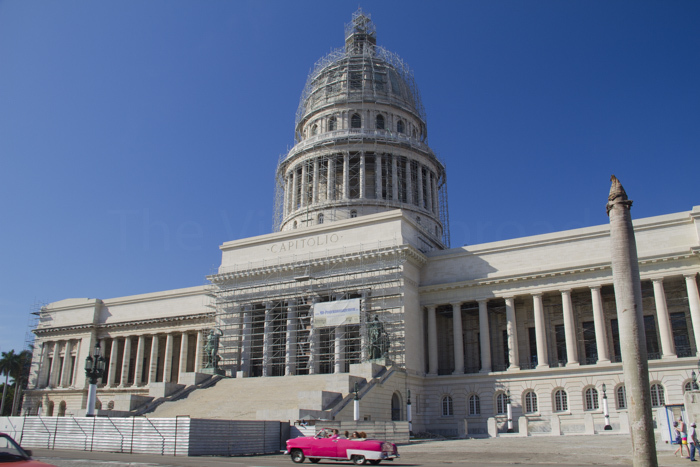 We decided to start the route from El Capitolio which actually looks exactly like the Capitol building in Washington DC. We got there by getting a taxi in an old fashion car! It was awesome! The dude talked about everything on the way a little about Havana and the history. The car was surprisingly comfortable, of course it was no seatbelts but the seats were amazing. That was when it hit me. This is how it must have been during the 50s and 60s. It was like I was going back to a time I never get to experience. 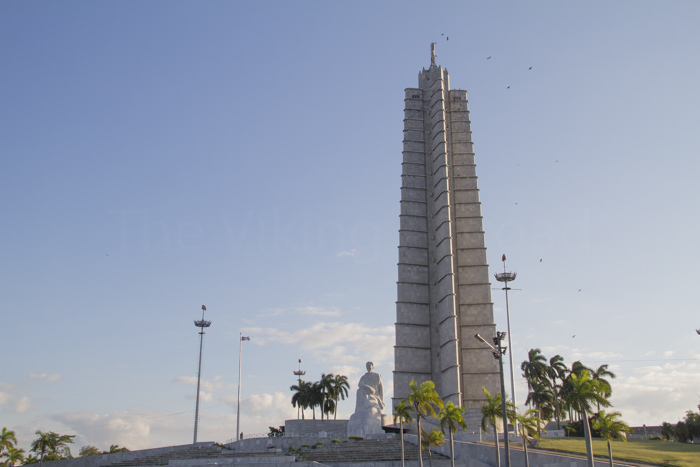 The whole day was full on visiting museums, forts, cool streets, bars and we took a taxi back to Vedado to visit Plaza de la Revolucion. We ended the night by visiting Fabrica De Arte (FAC) an amazing modern art museum and hangout place. It is definitely worth the visit. 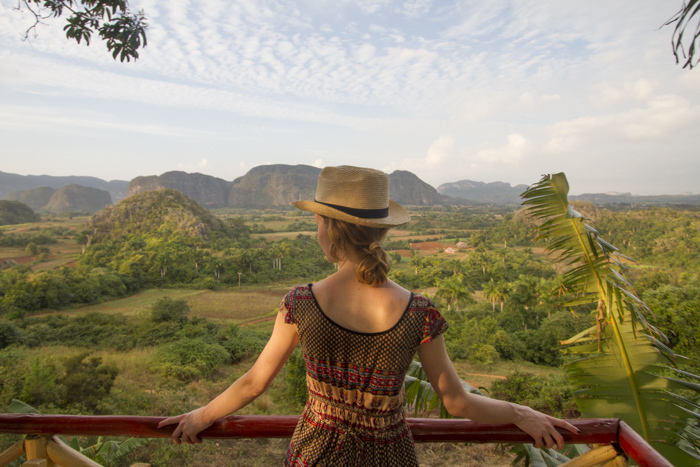 We got a full breakfast at our Casa Particular and went to Viñales with a shared taxi (Taxi colectivo) we booked the taxi with our Casa Particular. It was an old-fashioned car so I was a little worried it would break down on the way. We shared it with two travellers from Germany. The ride was only 2 hours. 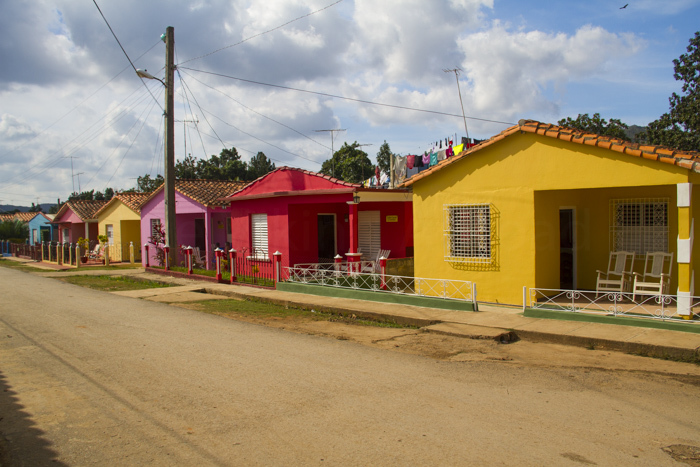 While we drove into Viñales it was hard to find our Casa Particular because all of the houses was the same size but different colours, places next to each other. It was super cute, like an own community of colourful almost doll-like houses. 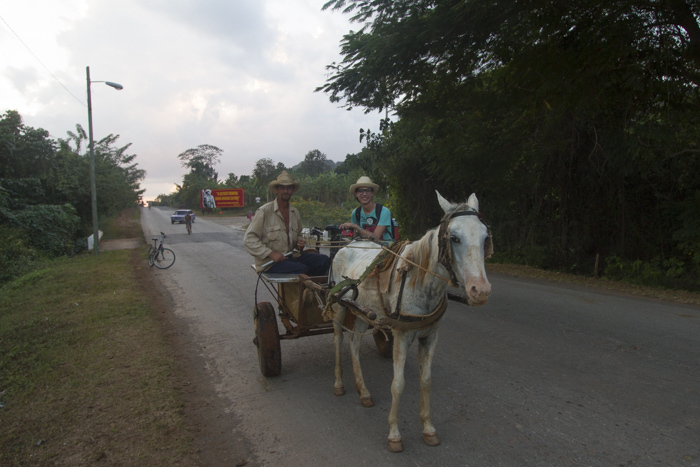 Our host immediately helped us out with booking what we wanted in Viñales and the ride from Viñales to Trinidad. We decided to not do the horse riding that day but the next day. 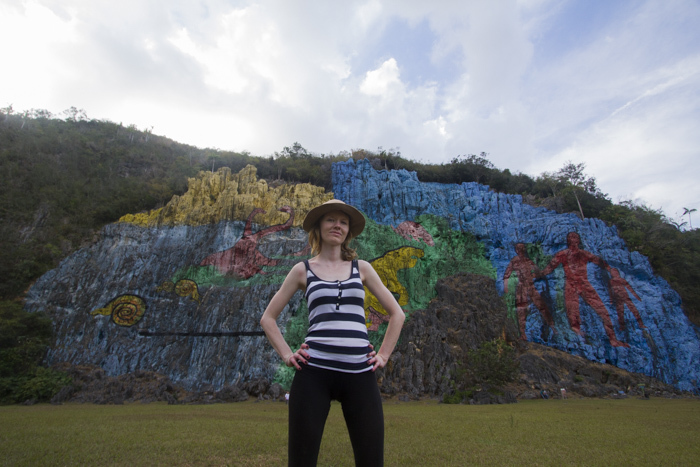 We rented bikes and went to Mural De La Prehistoria. It didn’t take long at all, maybe 15 minutes. The Mural was amazing, huge. It is not necessary to go into the park, it cost around 3 CUC, you can see it perfectly from outside because it is huge. We went inside and it was a sign saying panorama view. We were curious and started walking. A man came out of nowhere and guided us UP. The hike was incredibly steep and scary. If you stepped wrong you could fall. That was why the guide had to tell you where to step. When we were half way, I wanted to go back because I seriously thought I was going to die. It was not a long hike, but a scary one. On top of it all, at the very end of the hike my camera jumped out of my camera bag and fell on rocks a couple of meters away. Luckily, I found it again! At that point, I started to cry and thought I broke my DSLR camera and the whole trip would be ruined. After testing it out it was perfectly fine. It just had a few scratches on the side. After all, lesson learned: Lock your bag properly with the zipper facing down, not to the middle. If that wasn’t enough. My boyfriend suddenly broke the bike chain after leaving the Mural. I was devastated and a bit stressed because we had only 30 minutes to get the bikes back to the owner, and we would not make it by walking. Not long after a guy on a horse carriage asked us if he could help. He offered to get my boyfriend and the bike on the carriage and me biking after them. The Cubans are the most helpful and kind people I have ever met. They always do their very best to help you whatever you need. We ended the day by having a delicious pizza at El Barrio with a few delicious mojitos. The Cubans are the most helpful and kind people I have ever met. They always do their very best to help you with whatever you need. We ended the day by having a delicious pizza at El Barrio with a few delicious mojitos. We got up sort of early to go horse riding! Early for Cubans is before 9 am. 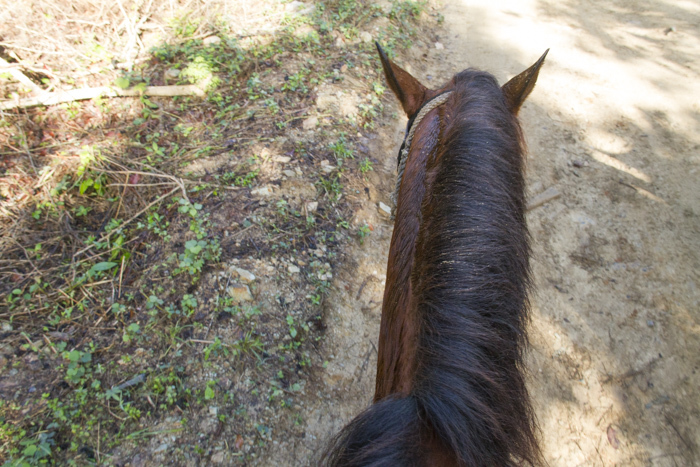 It was hard to get breakfast before 8 am but we managed to get on the horse by 9 am ! 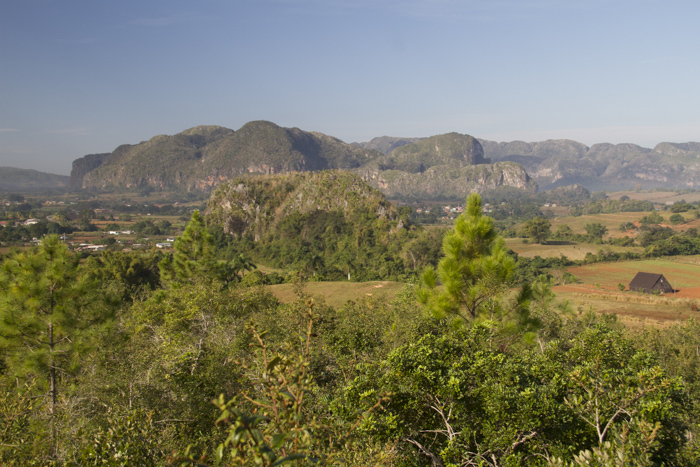 It was amazing to see the morning light over the mogotes and the valley with no other people than the farmers. The horse riding for 4 hours. We decided to do a private one, with only me and my boyfriend and the guide. 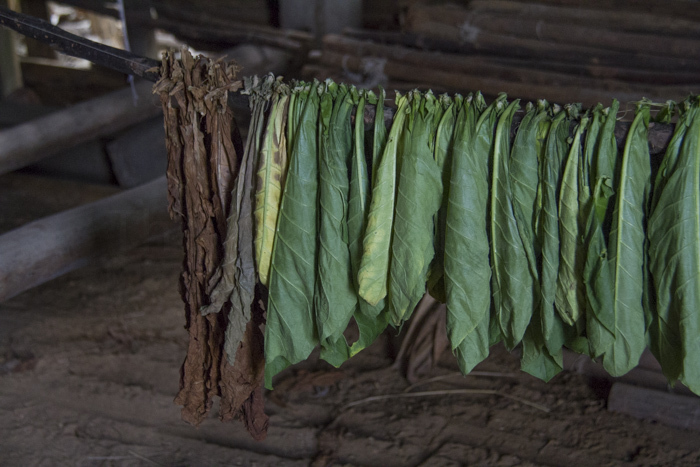 We visited a lookout, a coffee plantation, and a tobacco farm to see how they roll the cigars. 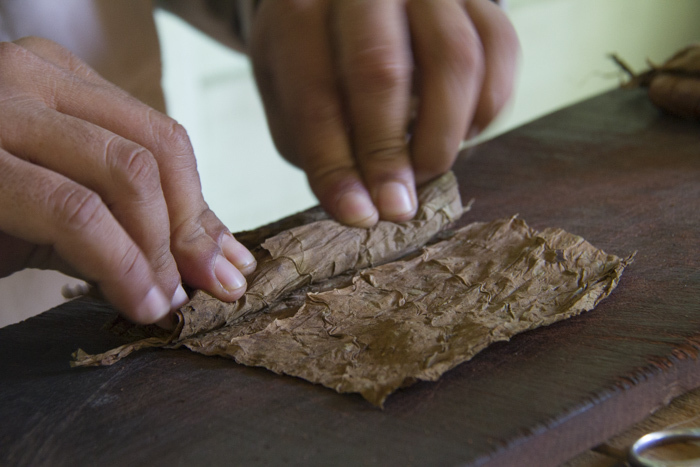 I couldn’t resist buying a package of those freshly rolled cigars from Viñales. It tasted amazing. Even though I am not a smoker, I manage to smoke a half of a cigar without coughing! Afterwards, we decided to walk around a little bit and went to Balcon Del Valle with a beautiful view of the mogotes and the sunset. We ended the night at Tres Jotas who has probably the best mojitos in town. We got ready for the looong journey from Viñales to Trinidad. I was not looking forward to that. It took 6 hours with a taxi colectivo that we shared with two french people. It went surprisingly well and we stopped one time to eat and chill for a little. I immediately fell in love with Trinidad. The colourful houses, a true colonial feeling. It felt like we were back in the 1850s. We ate a feast at La Botija and tried the Cuban dish Ropa Vieja. After that we walked around and took photos in the most picturesque city I have ever been to. 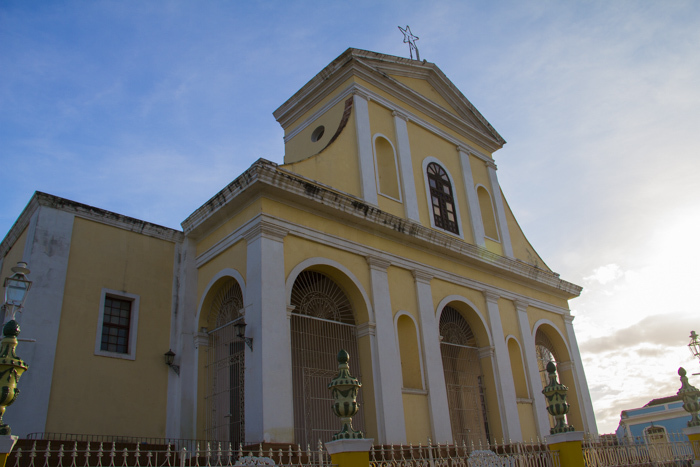 Walked up the famous Convento de San Francisco de Asis and watched the sunset. 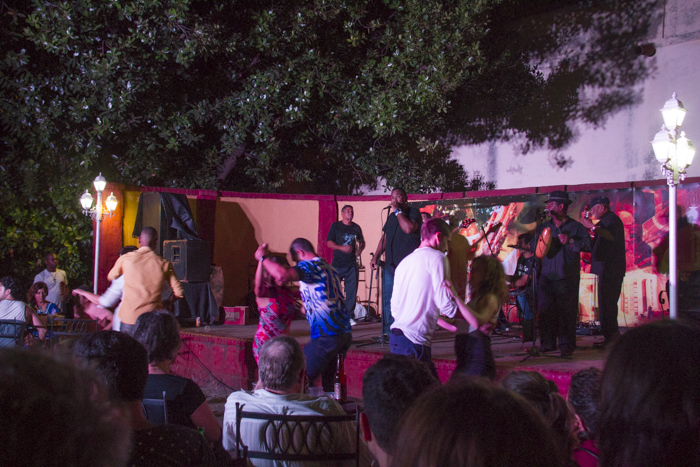 We ended the night at Casa de La Musica with dancing some salsa. Not to mention that we also experienced that all the power went off in central of Trinidad for 30 minutes. It happens every now and then. Not to worry about. 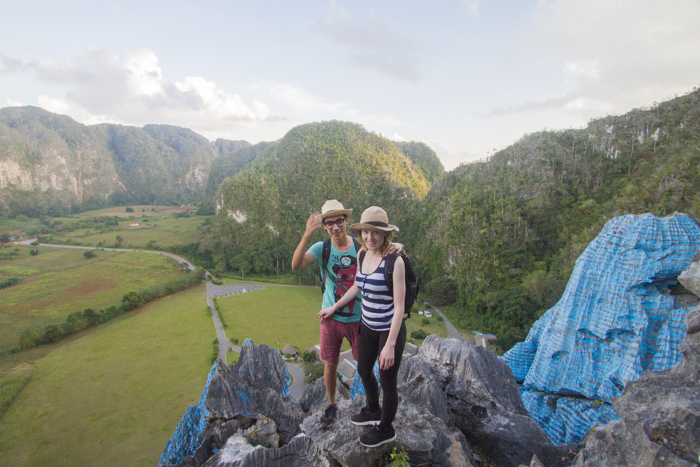 We decided to try to find a different place for breakfast because we got up really early to do the Photogenic route that was suggested in the Lonely Planet Cuba (Travel Guide) . It was not easy. 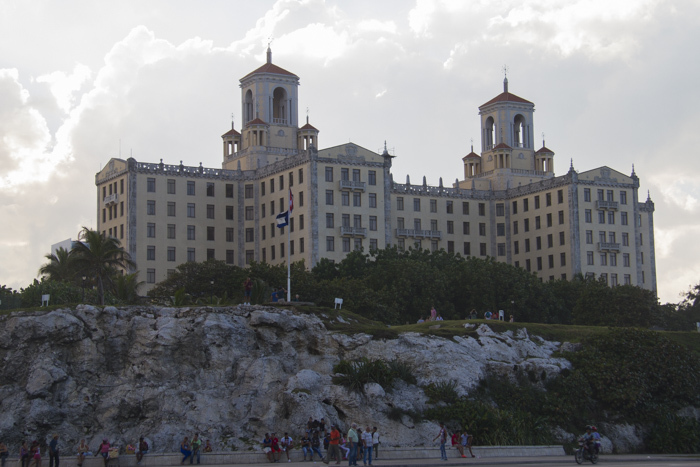 Even though this is one of the most touristic places in Cuba you will not find many restaurants that serve breakfast before 9, so we ended up at Grand Hotel and got a buffet breakfast for 10 CUC, not cheap to be Cuba, but it was so worth it. That breakfast lasted until the late afternoon! 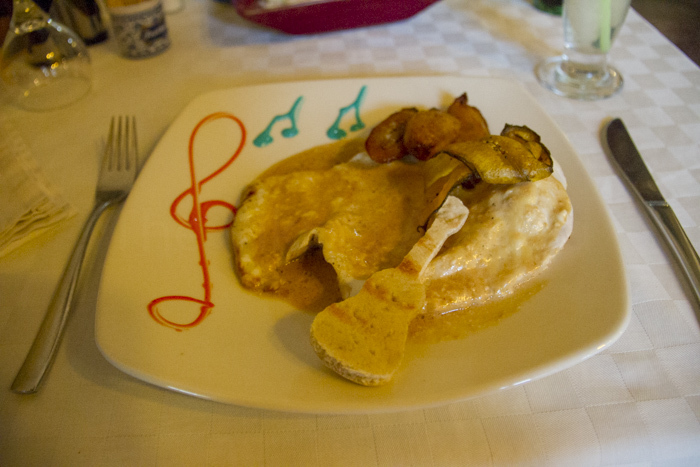 When we came back we had a very late lunch at Guitarra Mia. My favourite restaurant in Cuba! The food was amazing and even decorated. They also gave us a cigar each when we left. If you go to Trinidad I would strongly recommend this place! 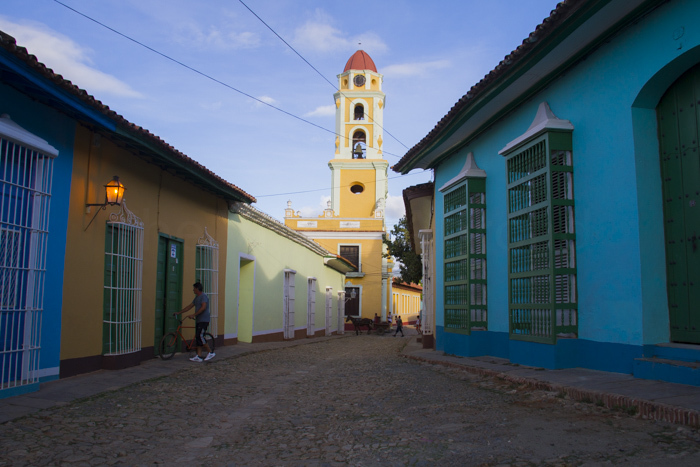 At first, we wanted to do a day trip to Cienfuegos, but our hosts didn’t recommend it because it is not easy to just go there and come back on the same day. 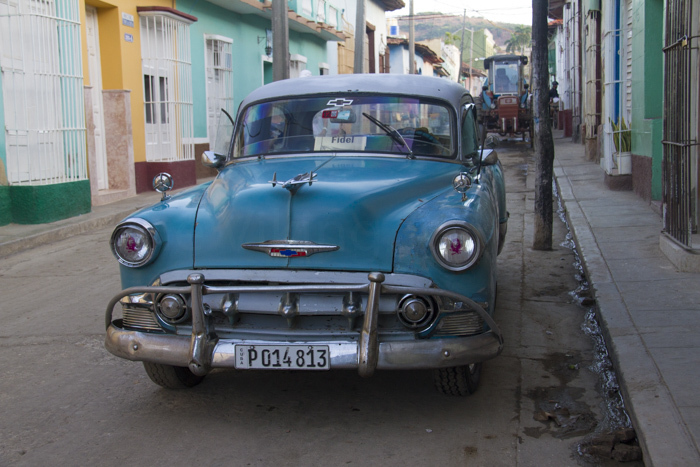 We couldn’t do it on the way back to Havana because we would be in a shared taxi. We then decided to explore off the beaten track and went to La Boca by bike. It took around 20 minutes. 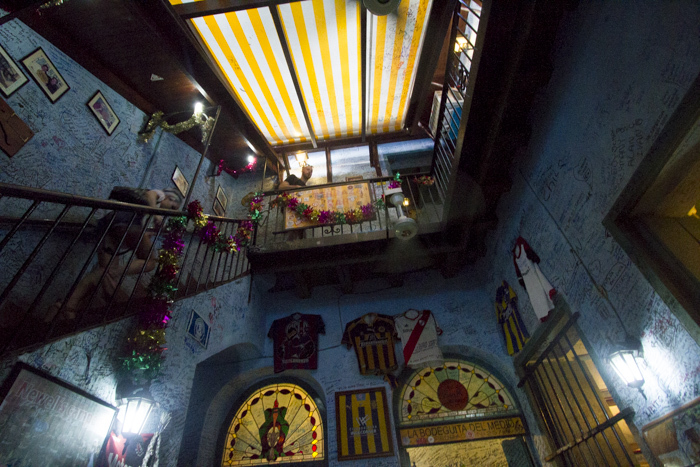 La Boca is a tiny town by the sea. No tourists and no people trying to sell stuff to us or treat us like tourists. 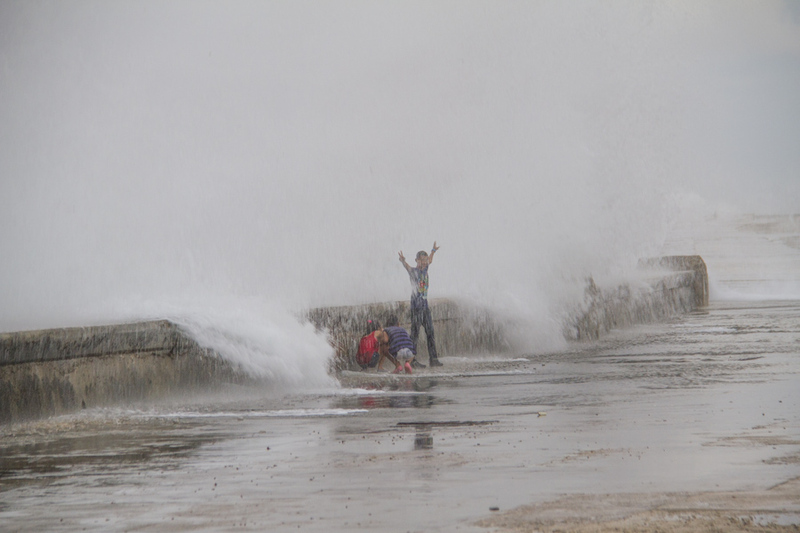 It was a simple bay with one bar where locals sat to cool during the middle of the day. 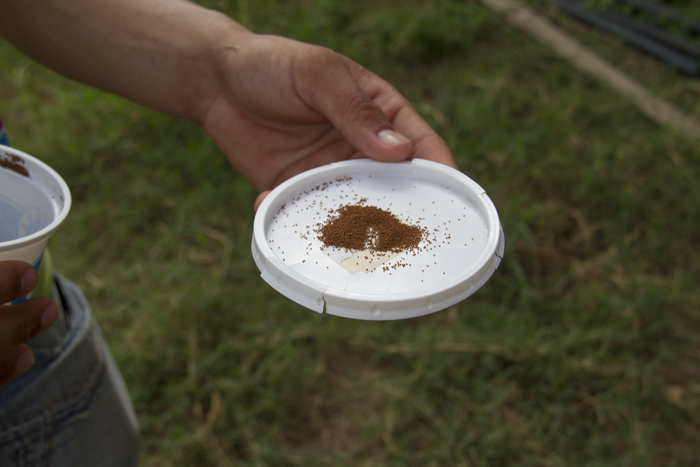 We had coffee at Cafe Don Pepe, which was suggested as the best place to get coffee in Trinidad. We ended the night at one of the rooftop bars to listen to musicians playing songs like Guantanamera and watching the sunset. We got a taxi colectivo to Havana where we suddenly needed to change in Cienfuegos to a much smaller and crappy car. The new driver was not as chatty as the first one either. However, we shared it with two chatty Americans were we talked about everything from history and politics of Cuba, Norway and The US. 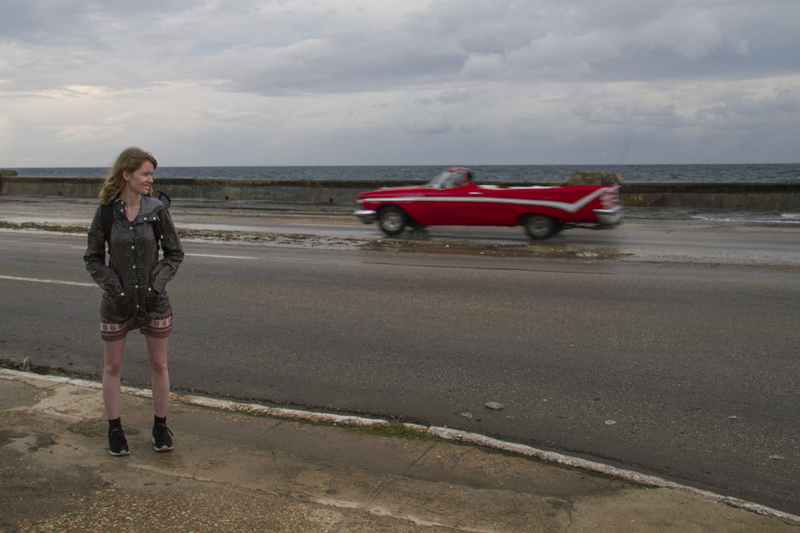 We were going to drop off the Americans first in Habana Vieja and ended up driving back and forth for over 30 minutes through the same streets. As you probably know, there are no Google Maps and roaming in Cuba so you have to find it by asking people or just drive around. Luckily we had the app Map.Me app where we could download the whole map of Cuba with all of the streets. As we told the driver where to go, but he didn’t want to listen. The driver finally dropped them off and went to our Casa particular near Universidad de Habana in Vedado. 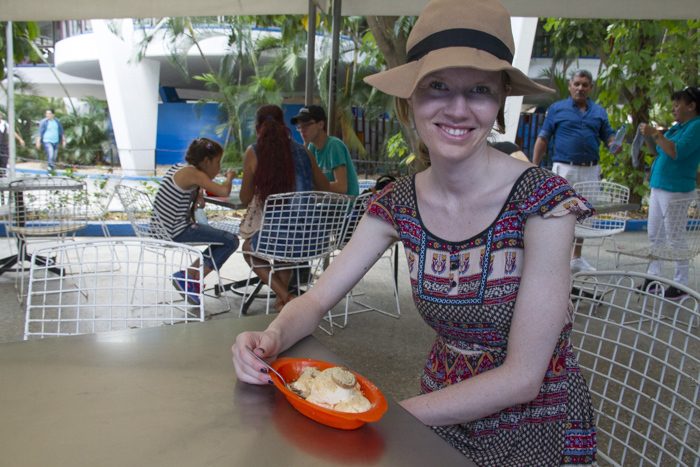 We decided to cool down at the Coppelia Icecream place. We had to wait 30 minutes in the line. However, it was so worth it. It was only 10 CUP, which would be not even 50 cents. The ice cream was delicious and we were there mostly with locals which ordered in bulks because it is affordable for them. 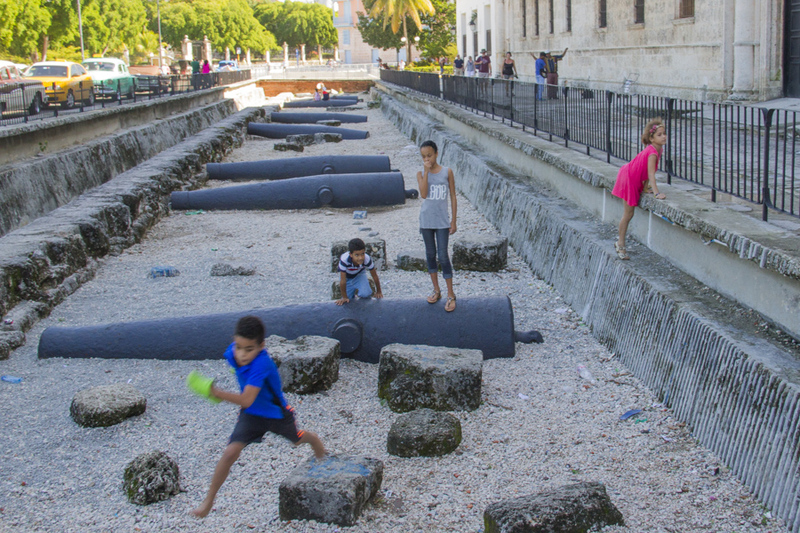 We then strolled along Malecon and had a mojito at Hotel Nacional and checked out the Missile crisis tunnels. 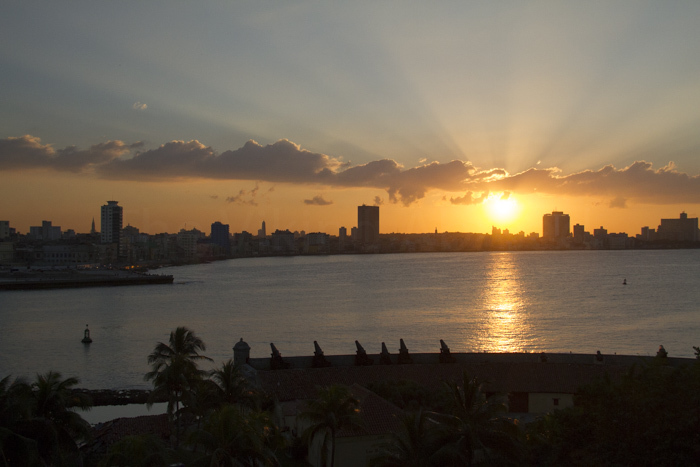 We took a taxi to Morro Cabana and watched the sunset over Malecon and saw the Cannon show at 9 pm. It was very crowded but amazing to watch. We went the Necropolis Cemetery which is a huge cemetery, one of the largest in the whole Americas. It is so big that you should get a guide or buy the map that is 5 CUC at the entrance. 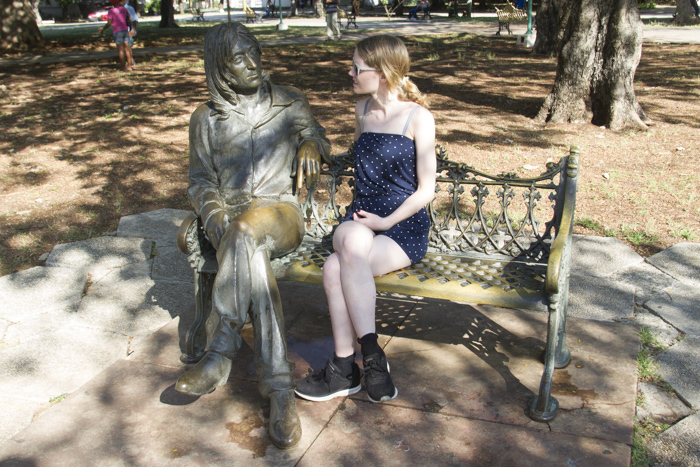 On the way from Vedado to Havana old town we stumbled upon the Lennon park, which was a park Cubans used to listen to Beatles music secretly, when it was not allowed to listen to them in Cuba. 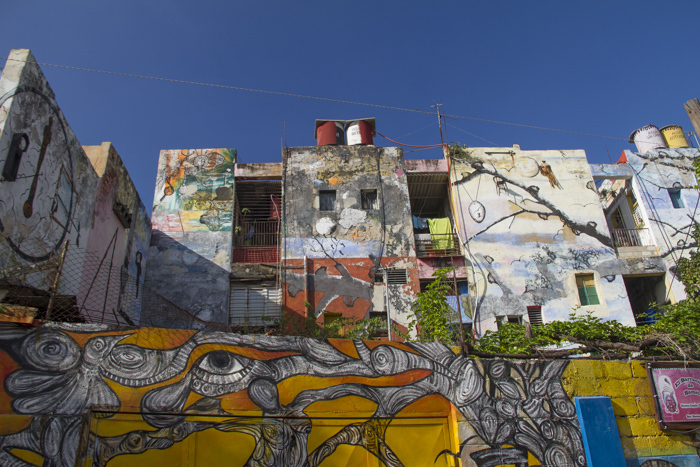 We went to the afro-Cuban area in Central Habana Callejon de Hamel with fascinating street art. 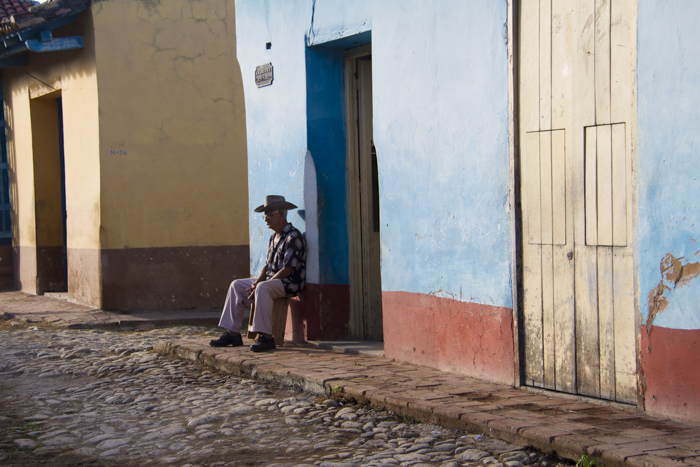 Since we were in the area we checked out La Guarida that is from the famous movie Fresa y Chocolate. It was past lunch time, but we could look around. 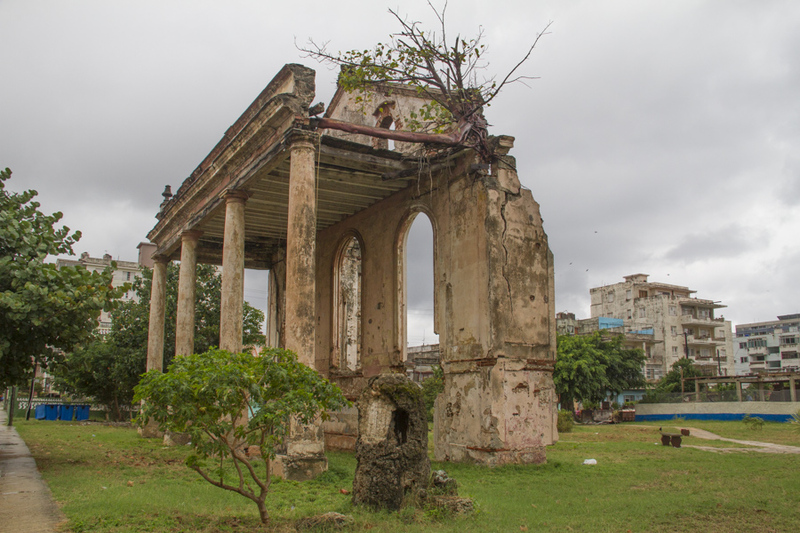 You could really tell that Central Habana was the poorer part of the city where the buildings were less taken care of. However, it was never a problem for us and felt safe at all times. 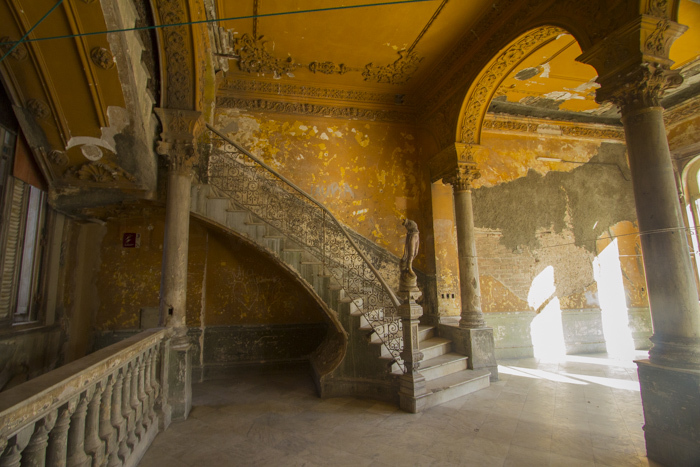 It was an experience to go from the old mansions in Vedado to the fallen apartments in Central Habana, none of the buildings were reconstructed or renovated since the 50s. We ate dinner with my friend and his family from Norway at El Del Frente in Habana Vieja, which is famous fo their drinks. Even Obama went there on his trip to Cuba. It was our last day. Started the day with walking along Malecon, checked out Universidad de Habana, chilled and went to the airport in the afternoon. I had some CUC to spend were we bought rum that was the same price as anywhere else in Havana. My boyfriend bought the rum called Havana Club Selecion de Maestro, which is recommended and you can not get it outside of Cuba. We also bought some souvenirs to spend the rest of the money. You are not allowed to bring more notes than 200 CUC out of Cuba. I also bought a painting in Havana which I needed to pay a 3 CUC fine to bring out of Cuba. 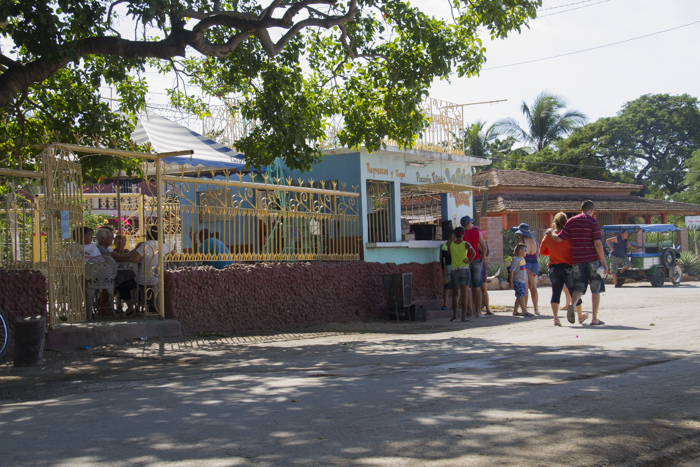 It was a great experience to see Cuba first hand, not only the touristic places, but also how they really lived and meeting the people. For me 10 days was enough for visiting Cuba for the first time and it felt good to go back to our normal life in Ecuador with plenty of choices of food, clothes and proper internet at home. Have you been to Cuba? Tell me about your trip. 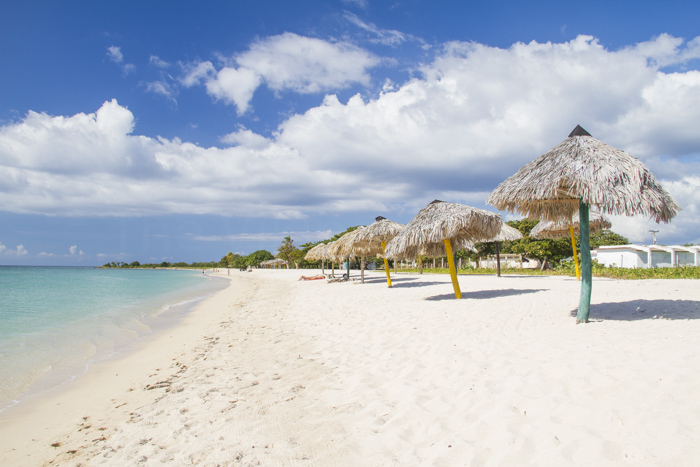 Or are you planning on going to Cuba soon? I love your photos. 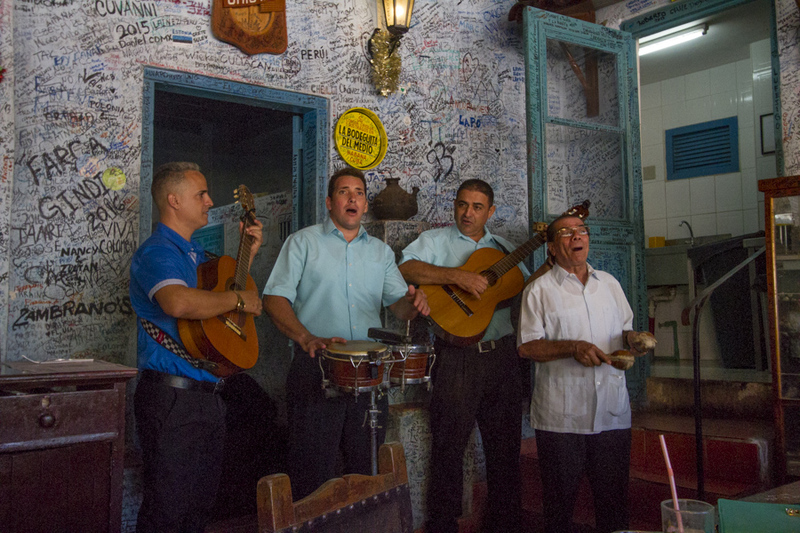 They really make me feel immersed in Cuban culture – so vibrant and lively. In love with this. I saw France in about 14 days – I didn’ go totally around but we visited. Hows the food in Cuba? I have always wanted to go but held back because of the food. Your trip sounds amazing! My sister and I want to make a trip to Cuba, but still thinking about it. We will only be visiting for 3-4 days just to get a taste of Cuba and maybe come back another time. We’ll see! OMG that sounds amazing! 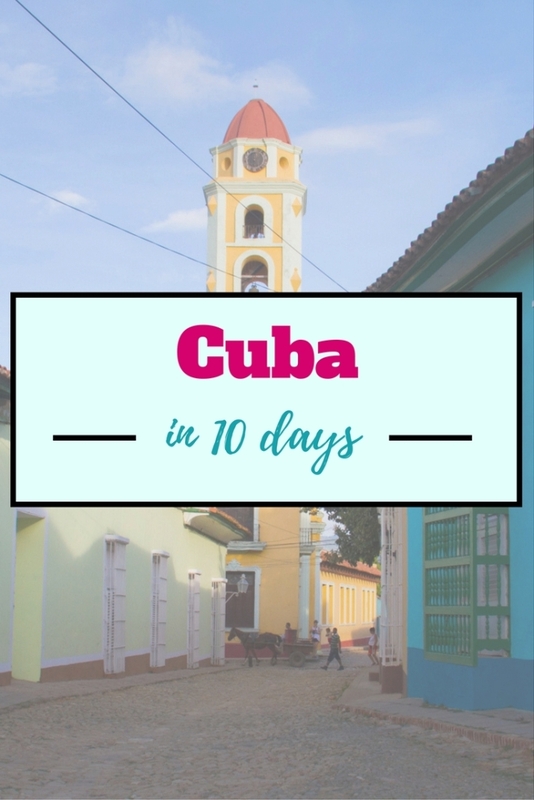 I am planning Cuba this year but unfortunelty I dont think I can even make it for 10 days 🙁 and I would love to see as much as I can ! Your trip seems to be planned very well! 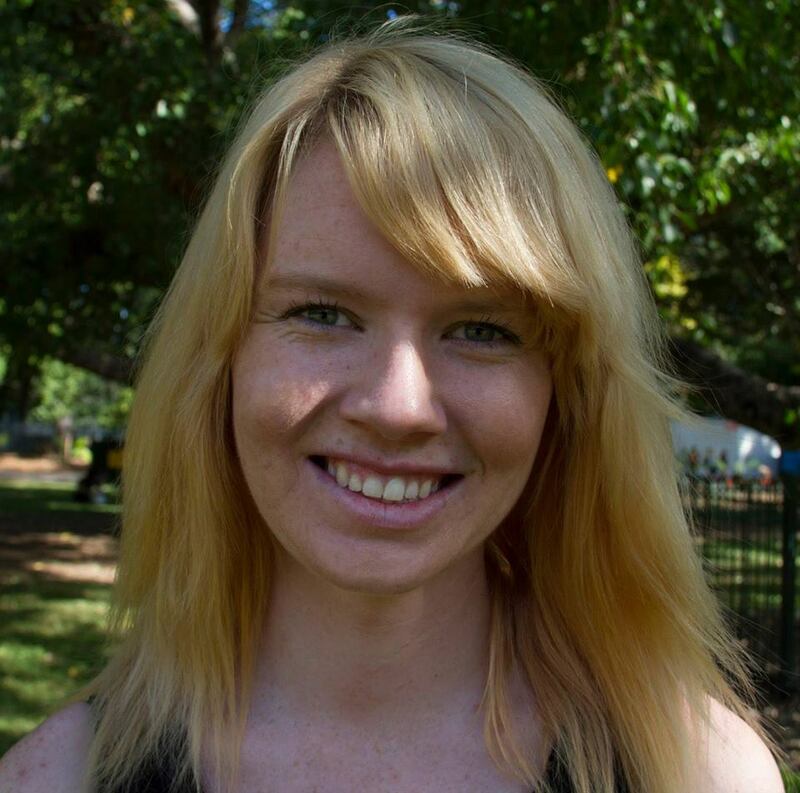 Love your photos ! Great photos! It looks lovely! 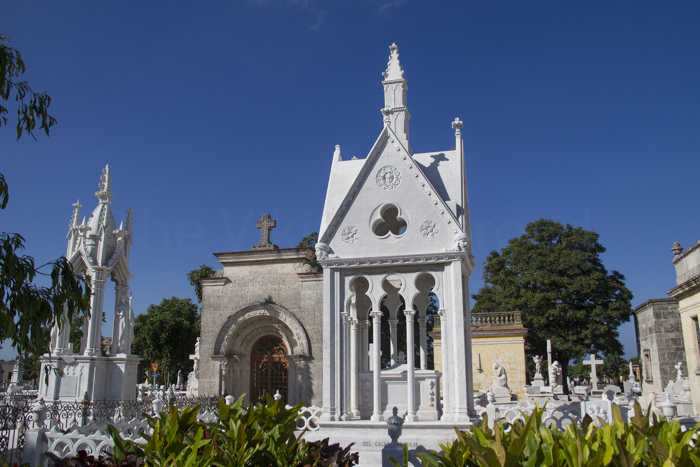 Great photos, you really showcase the beauty of Cuba so well! 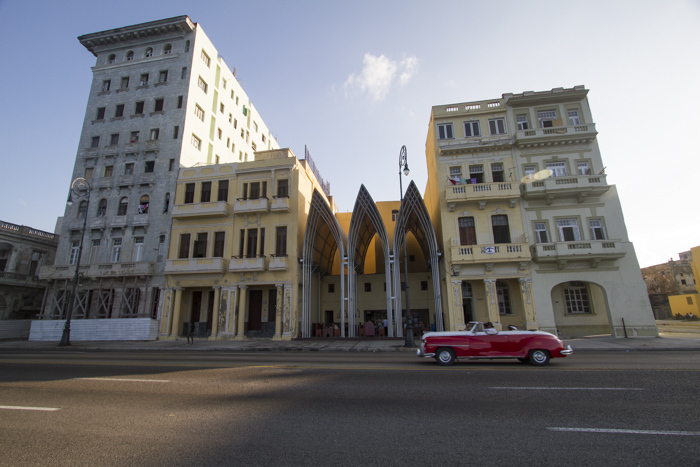 such great inspiration for Cuba! I loved all the colors of the buildings! Thank you 😀 That is awesome! WOW! Such a great post! Looks like you guys had the best times. 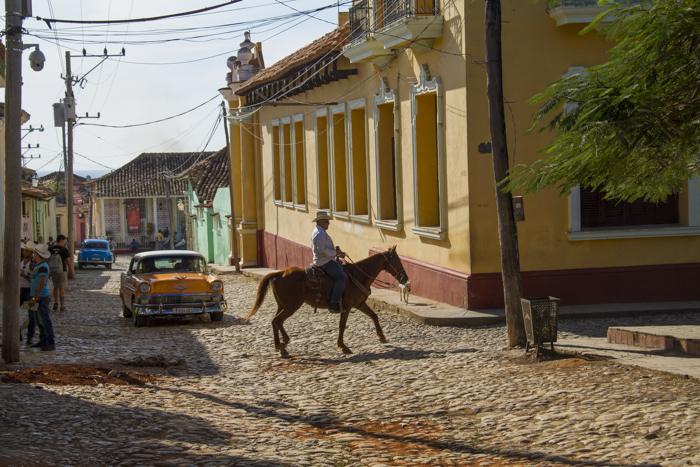 I’d love to visit Cuba one day, thanks for sharing this guide (and amazing photography!). Your photos are absolutely stunning! 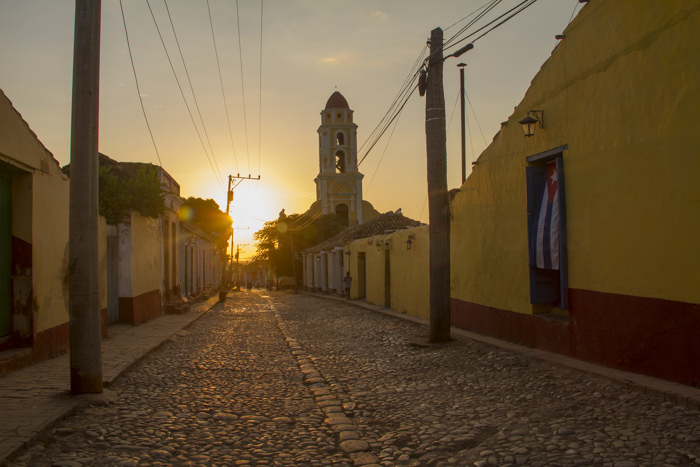 I travelled to some of these places in Cuba over a decade ago and it takes me right back… and honestly feels like time has stood still there. But I would love to go back again and see more. Wow Cuba is so pretty! Your pictures are amazing and it looked like you had a great time! Even the poorer areas are so beautiful. WOW! What a trip! I have always wanted to go to Cuba! It looks so beautiful there. 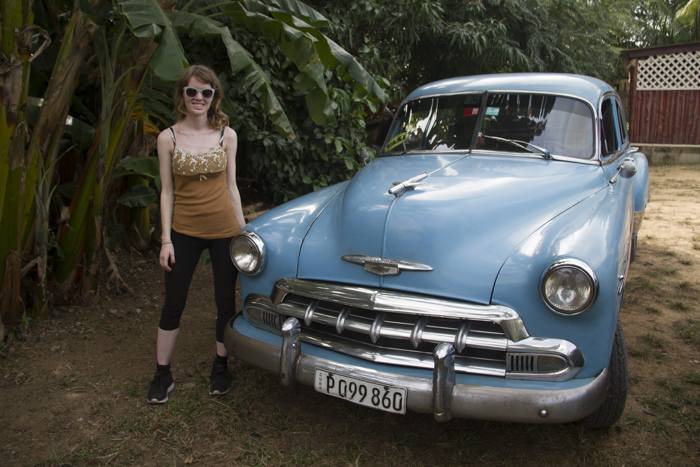 I love the old cars and all the colors… It looks and sounds like you had a blast! These 10 days seem incredible. Now I wish I could visit Cuba! I am so surprised with the questions they asked you.on the airport. I mean, URL of your blog. A bit crazy. But, it paid off since you got to spend time in Cuba. All the photos are stunning. That blue car is so cute. I like little cars similar to old VW Kaffer. Oh, and my brother would go crazy for those Cubans cigars! I would absolutely love to visit Cuba. The landscape seems amazing, the people are supposed to be super kind and the colours… It sounds like a fantastic place to visit. Your pictures are awesome!! I really felt like I was there, This article was great informative and entertaining. 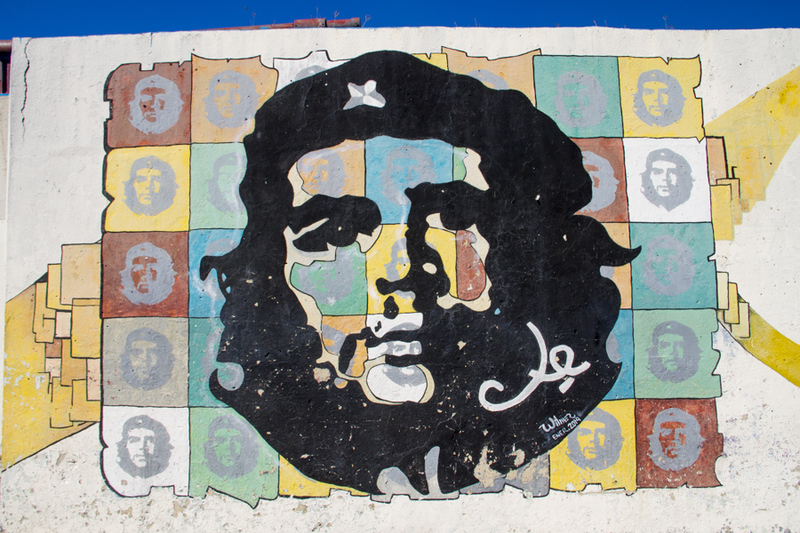 I really love the Che Guevara graffiti in Havana. It looks great! I really want to visit Cuba as well. It has it all. So many great spots to visit. Your trip looks awesome. The Casa Particulares are great! So glad your camera wasn’t broken! always love making tons of pictures when I’m traveling. You must have been startled when it fell. But luckily everything is okay. I love the complete atmosphere. 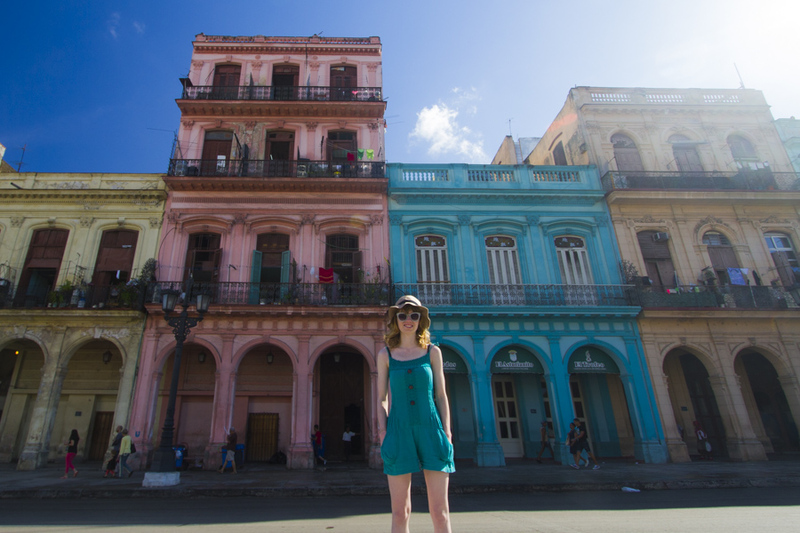 Cuba is so colorful. It’s amazing. Wow. Those pictures makes me want to visit the place soon. 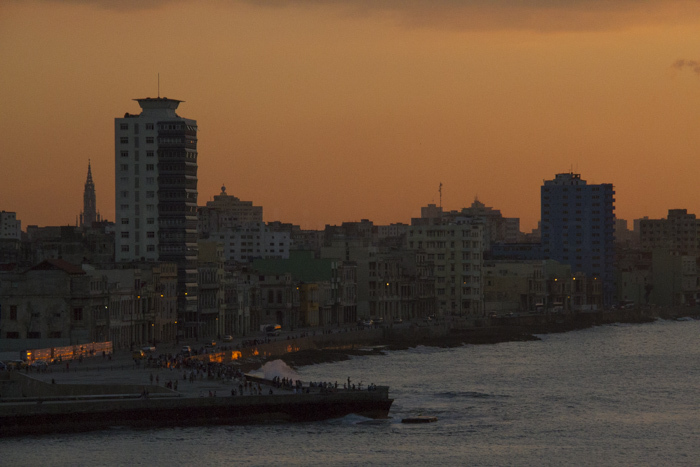 I have heard many beautiful things about Cuba but unfortunately haven’t got the chance to visit yet. type of excellent informative website. Incredible pics! looks you had so much fun. Cuba is already in my bucket list. After reading the post I am inspired to visit it soon. 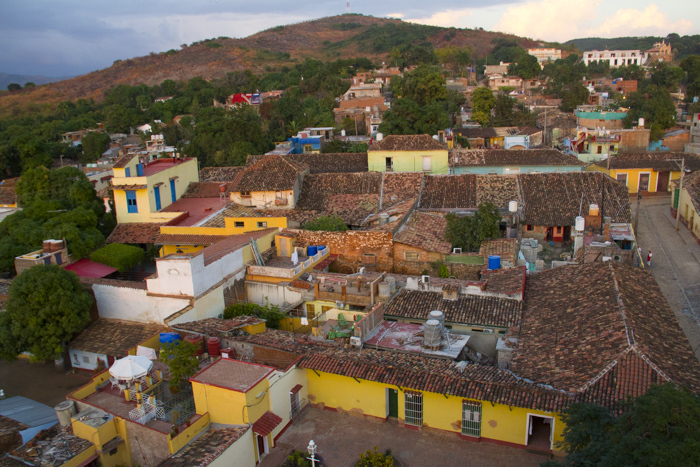 I loved those colorful houses & your post of Mural De La Prehistoria. Thanks for inspiring me dear. Will try to visit soon. Thank you sooo much all of these places need to go on my itinerary as I am leaving in 2 weeks! Thank you for all of the information and how thorough it is! 🙂 I cannot wait. So glad I found your post on this! 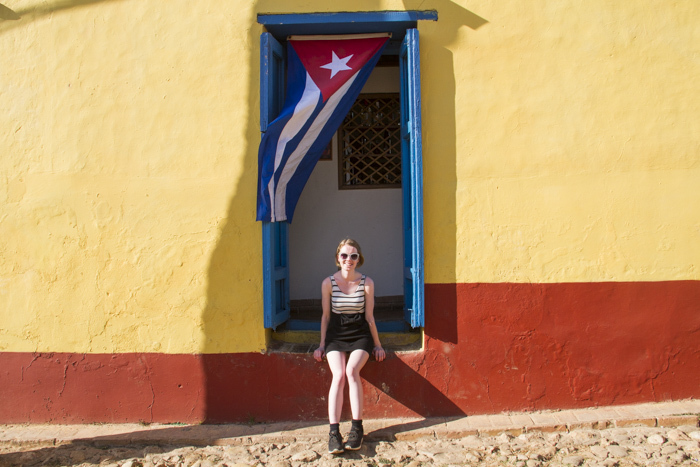 I’ll be traveling solo through Cuba this Nov… so I was also hoping to travel to Cienfuegos on my way or back from Trinidad. From your experience would you recommend a day/ 2 day allowance to see both cities? ?